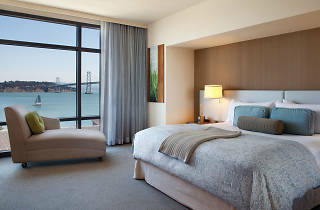 Magnificent views of the San Francisco Bay draw visitors to this chic boutique hotel on The Embarcadero with an aesthetic that is part mid-century modern, part urban cool. 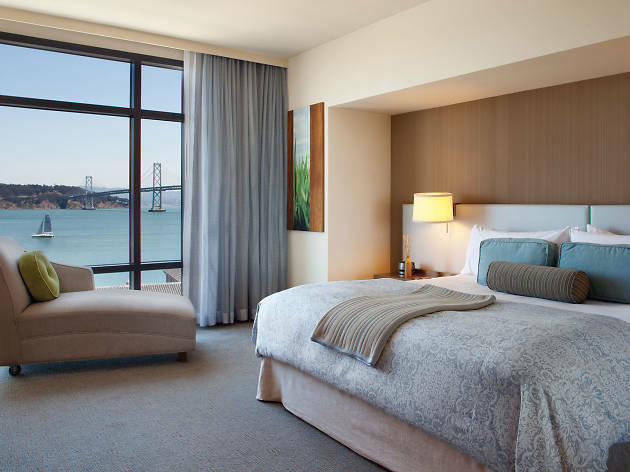 For a real treat, book a circular suite, with walls of windows to offer you a panorama view of San Francisco. On the roof, the Spa Vitale offers facials, massages and aromatherapy soaking tubs. Downstairs, join the Financial District’s 20-somethings for a post-work cocktail at the Americano Restaurant and Bar. Hotel Vitale is a picturesque waterfront walk away from The Ferry Building, a food mecca that rivals Seattle’s Pike’s Place Market. The food market, which doubles as a port for ships and ferries crossing the bay, hosts the city’s largest tri-weekly farmer’s market and provides a permanent home for some of the region’s most beloved artisan producers.